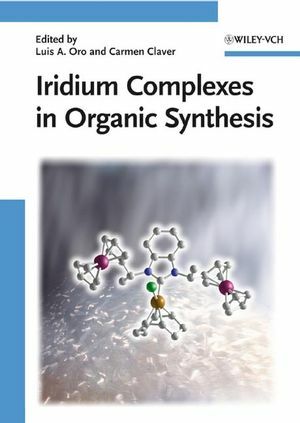 Ranging from hydrogenation to hydroamination, cycloadditions and nanoparticles, this first handbook to comprehensively cover the topic of iridium in synthesis discusses the important advances in iridium-catalyzed reactions, namely the use of iridium complexes in enantioselective catalysis. A must for organic, complex and catalytic chemists, as well as those working with/on organometallics. Luis A. Oro is the head of the Homogeneous Catalysis Institute and professor of Inorganic Chemistry in the University of Zaragoza. His main research interests are in organometallic chemistry of platinum group metals where he has coauthored about 500 scientific contributions, and edited several books. He is member of the Interantional Advisory Board of Angewandte Chemie, and other international journals. He has received several scientific awards, including the Humboldt award, King Jaime prize, Solvay prize and Sacconi Medal. He is Doctor Honoris Causae by Rennes University. He is also member of the Deutsche Akademie der Naturforscher Leopoldina, the Academia Europaea, and foreign member of the Académie des Sciences. Carmen Claver is Professor of Inorganic Chemistry at the University Rovira I Virgili in Tarragona (Spain). She has co-authored about 200 scientific contributions in the field of enantioselective synthesis. She has also participated in the edition and publication of several books. She has received several scientific awards, being recognised in 2003 as distinguished research for the Catalan Government. [Ir(COD)(NCMe)(PR3)]BF4 (PR=PiPr3, PMe3) and Related Complexes as Catalyst Precursors: Is 1,5-Cyclo-Octadiene an Innocent and Removable Ligand?